New Zealander Mike Northey is a lucky man. 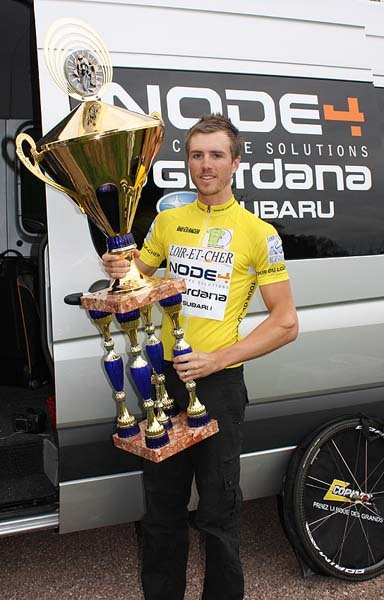 Not only did he win the opening stage of the Tour du Loir et Cher E Provost in France last week, but he was then presented with possibly the world’s only trophy you could convert into a desirable five-bedroom residence. Northey signed to the British-based Node4-Giordana squad over the winter and took part in the UCI 2.2-ranked race over April 11 to 15. 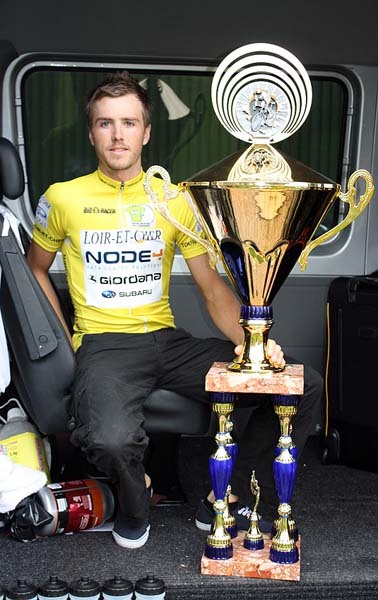 He won the 186km opening stage from a solo escape and was presented with the yellow leader’s jersey and the opulent marble-and-gold trophy for his efforts. Russian Andrei Solomennikov (Itera-Katusha) won the race overall, with Northey finishing in sixth.